A view of South Jersey, looking east from Washington Township. Residents across South Jersey reported earthquake-like rumbling on Monday morning. But the United States Geological Survey said nothing registered on its seismographs. "We looked and we did not see anything discernible as far as anything on our wavelength," seismologist Julie Dutton said. Residents from Winslow Township, Camden County to Sea Isle City, Cape May County reported that buildings shook for several seconds at around 11 a.m.. Okay was that just an earth quake? The reported vibrations might potentially stem from a sonic boom, a feat typically caused by military aircraft conducting supersonic testing. Several people in South Jersey also reported via social media that they heard a boom prior to the ground vibrations. 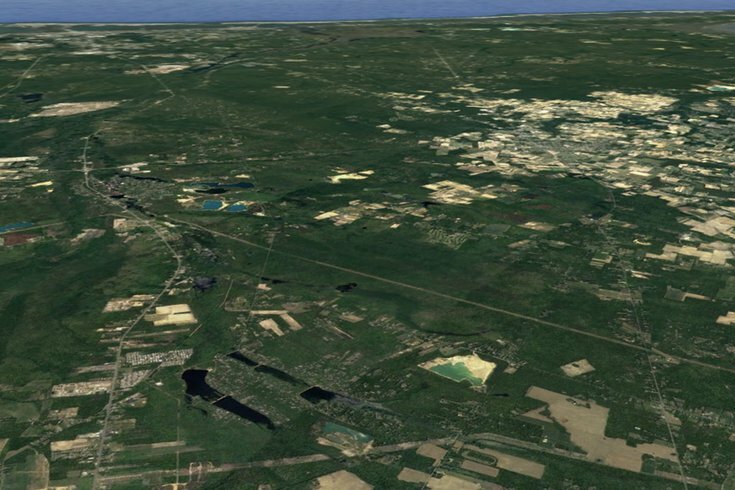 In January 2016, a sonic boom in Hammonton, Atlantic County sparked reports of an earthquake in South Jersey. The M0.0 sonic boom was likely caused by the U.S. Navy, which was conducting routine flight tests out of Naval Air Station Patuxent River in Maryland. On Wednesday morning, however, the Navy did not have any aircraft flying in the area, a public affairs officer from the naval air station told the Press of Atlantic City.